Finished your A-Levels? Apply for a Unilever Degree Apprenticeship! Have you completed your A level studies? Are you interested in a career in the Chemical industries? Are you a good student, based in the North West who wants to be paid to do a degree with Unilever? The University of Chester’s Faculty of Science and Engineering and global consumer goods company Unilever have partnered together for the first time to offer a degree apprenticeship, starting this October. 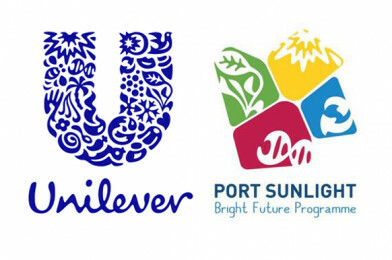 Working with the Department of Chemical Engineering, Unilever is looking to recruit a Degree Apprentice to join its Advanced Manufacturing Research and Development (R&D) Centre in Port Sunlight. The Centre covers the company’s €30 billion home and personal care categories globally and for Europe, including brands like Dove, Persil, TRESemme, and Comfort. The job holder will work as part of the Advanced Manufacturing Centre pilot plant team, delivering high quality product innovations to support Unilever’s home and personal care category innovation programmes. While doing this, they will study part time at the University of Chester towards a BEng degree in Chemical Engineering. They will work closely with process development engineers, R&D scientists and pilot plant technicians to plan and execute pilot plant manufacturing trials to prescribed specification, hygiene and safety standards and will complete aspects of each of these roles in rotation. More information about the role and how to apply can be found here. The closing date for applications is midnight on Monday August 13.